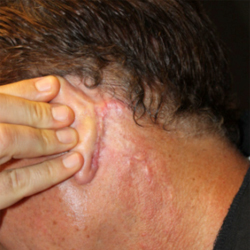 Interested in seeing your own scar treatment before and after photos in our gallery? 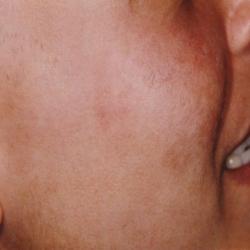 Contact our editors to submit your scar treatment photo today! 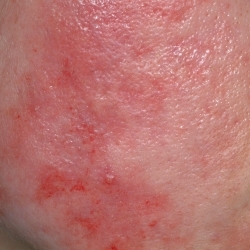 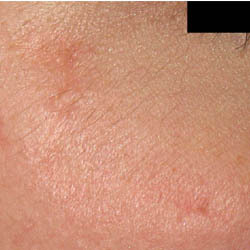 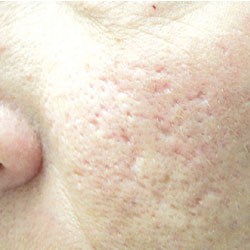 Acne can create distinctive pitted or "icepick" atrophic scars. 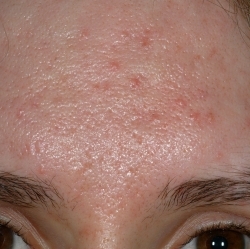 Patient's forehead acne was treated well after the scars had formed. 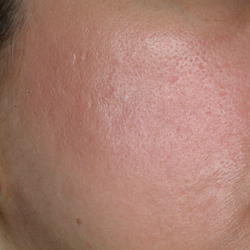 Acne scars can be effectively treated with fractional resurfacing lasers. 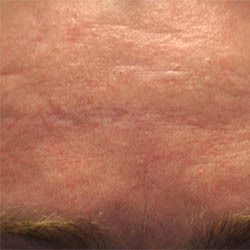 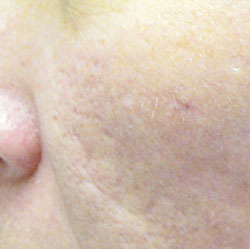 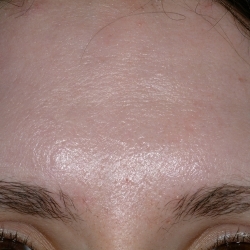 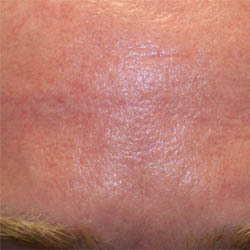 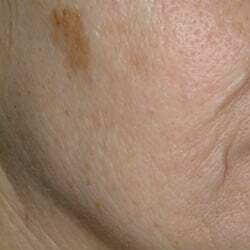 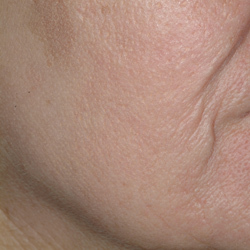 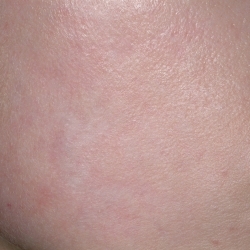 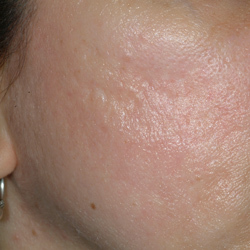 Skin after undergoing an aging treatment process. 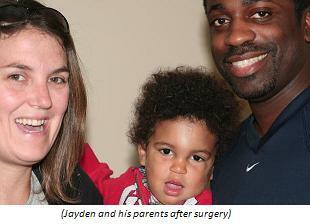 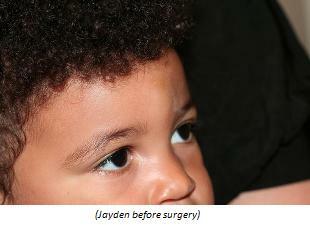 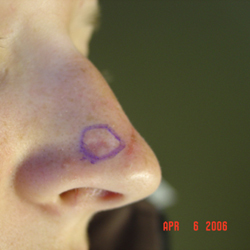 The removal of a dermoid cyst via endoscopic surgery for minimal scarring. 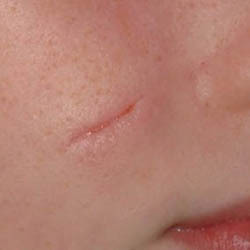 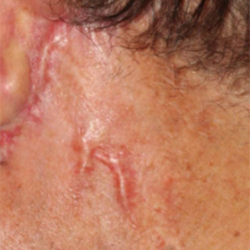 Dog bite scar treated with non-ablative fractional laser skin resurfacing. 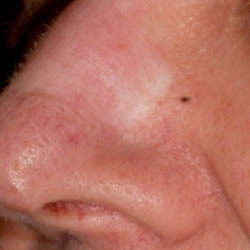 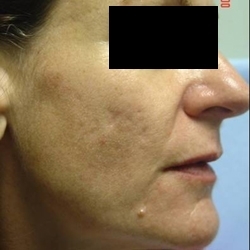 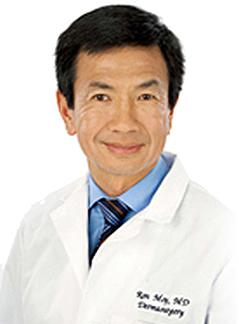 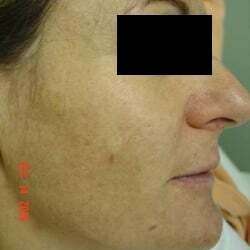 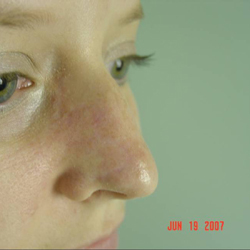 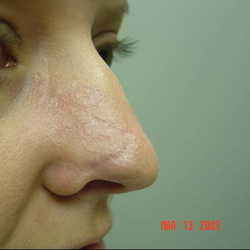 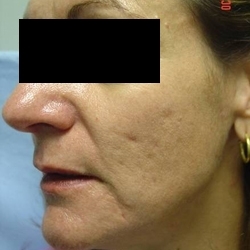 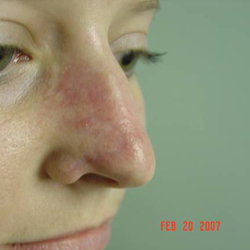 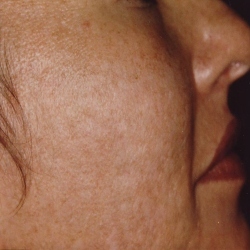 Fractional resurfacing lasers had a dramatic effect on patients with skin discoloration. 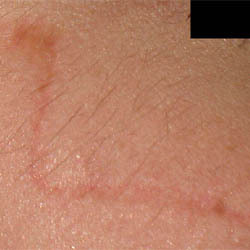 Successful laser treatment of stretch marks on the abdomen. 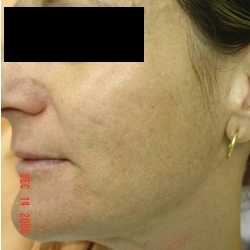 Facelift scars before and after four fractional laser treatments. 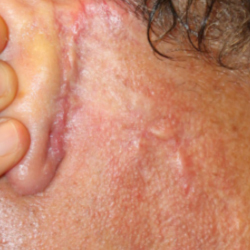 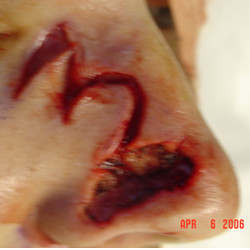 Patient had 3 treatments to minimize a surgical scar following a skin graft. 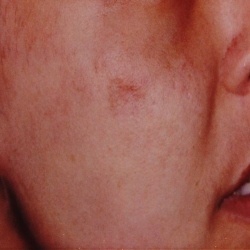 Results of fractional laser skin resurfacing of a tattoo removal scar. 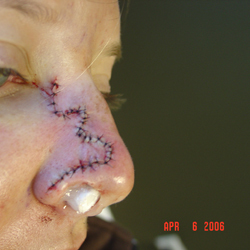 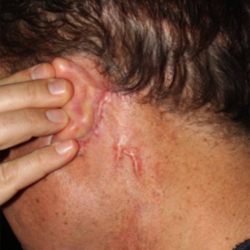 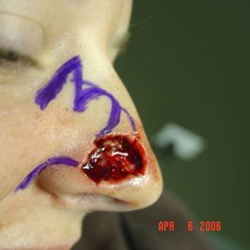 Traumatic scar treated with non-ablative fractional laser skin resurfacing. 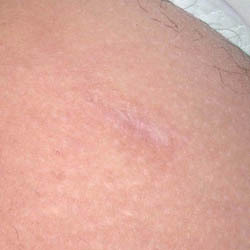 Traumatic abdominal scar prior to and then after 3 treatments. 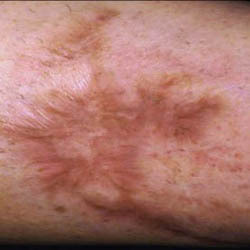 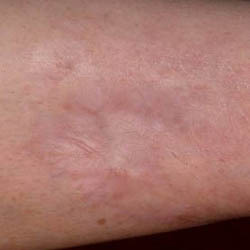 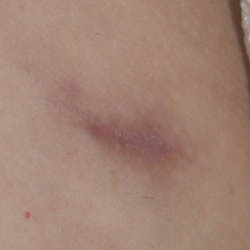 Traumatic forearm scar with noticeable keloid scarring. 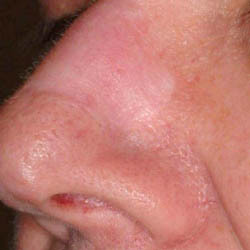 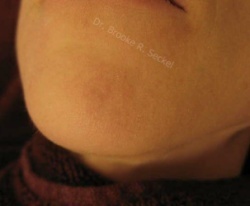 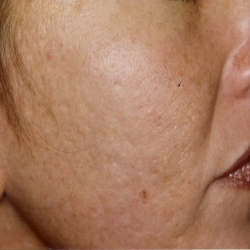 Before and after picture of laser scar removal of deep chin scar using a non-ablative fractional skin resurfacing laser.